Affectus has conducted successfully tests in one of the remote islands in Bay of Bengal. 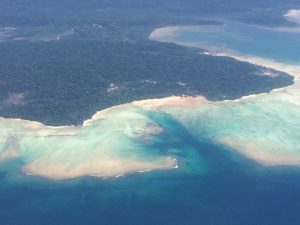 With the vision of creating the smart environment for system the Affectus team led by Peter Almström along with Johan Hedgren from Sweden and Anandam Sanyal of India conducted almost a year long survey, observations and assessment of the conditions of the remote islands in the Bay of Bengal! With the sensational increase in need to eradicate the use of fossil fuel it becomes more important to quantify, assess and manage the relevant situation every moment of how things are operating! The normal tendency to install system is always there but post that in order to keep the system running you need to get facts on the table! Affectus does this job for optimising the output! Beginning with collecting the data for the purpose of getting the load profile and peak demand of a village before installing solar PV and at the same time evaluate communication under really bad conditions. The generators currently feeding the village are only run at night which means the equipment is shut off during daytime. There is no 3G available and 2G/GPRS is really bad if working at all. Still we are able to get the data from the ABB meter and the load profile is updated for online access from wherever you are. Connect with us for improvement and innovation!